testimonials - De website van gandongtours! "Gandong Tours is a must for anyone"
It was a journey to never forget. Three weeks Ambon, Saparua, Ceram, Banda and Kei. Well organized by Gandong Tours, in terms of transport, sleeping locations and the islands and places we visited etc. Some overnight stays were sober, but clean and often in a special place. For example at Ceram in Sawai on poles with a beautiful view. Atha (our guide from Gandong Tours) traveled with us for three weeks. She told us a lot, and she is well informed about the islands we visited with its history and where she brought us into contact with the local people. 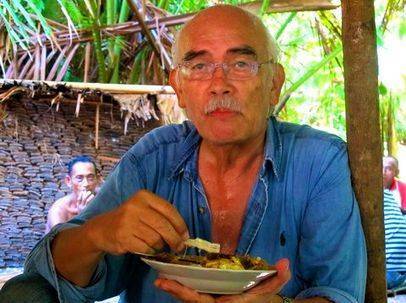 If you have Moluccan roots, then this journey will give you a good impression of how our ancestors have lived. We have also visited beautiful places where we could swim, snorkel and relax. We also regularly have picnicked at these places, eaten rice and fish and fresh fruit. In short, Gandong Tours is a must for anyone who wants to get to know this part of the Moluccas better. We have booked a journey with Gandong Tours for the 3rd time. It was beautiful. Tell her what you want and Atha will make your dreams come true. What we wanted. came out. She knows what clients want. Her motto is ¨Everything is Possible". 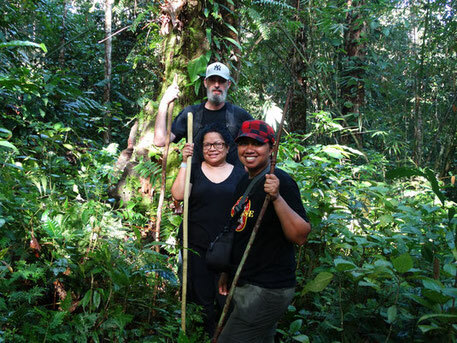 Atha is a very good guide who knows her ways in Maluku. Book with Gandong Tours and your dreams will become reality. It is a lifetime experience. If you want to visit your family Atha can fix it. "I am very impressed by Gandong Tours"
In the past few weeks I have come to known Atha as a very warm and kind woman. Everything was arranged with great care for all the details. 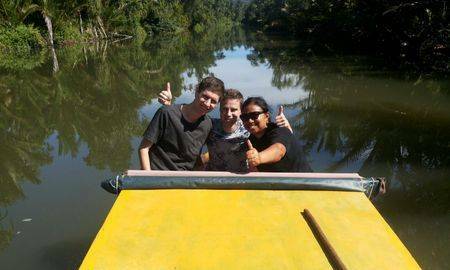 Everything about the trip was great, the hotels, the guide, the local guides, the places we visited and the excursions. There was also plenty of room for my own input and what I wanted out of this journey. I am very impressed by Gandong Tours, not only about the travel-part but also by the other projects she supports. 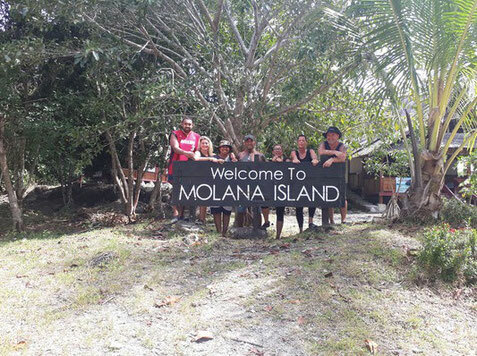 I recommend traveling with Gandong Tours to everyone who want to visit Maluku, and experience this very warm welcome. "We advise everyone to make a trip with Gandong Tours"
We enjoyed everyday of the tour where Atha showed us places, we only could dream about it. She made everyday possible (alles is mogelijk). She is very meaningful at her reading houses. Keep up the good work. We advise everyone to make a trip with Gandong Tours. 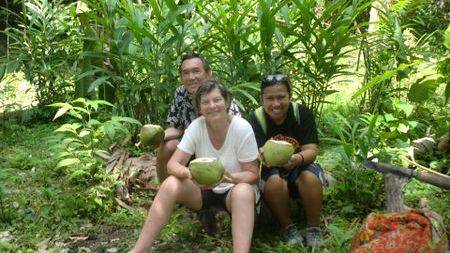 "Ask Atha to organize your next trip to the Moluccas"
In february 2017 me and three of my grandchildren made a trip to Ambon and Saparua. Based on my good experience in 2013, I requested Atha to also overlook everything now for our trip in Ambon and Saparua. And ... ? What she organized was very good. If you want to see the real life in the villages, the handicraft (sago kloppen, the proces to make sopi) etc. etc. 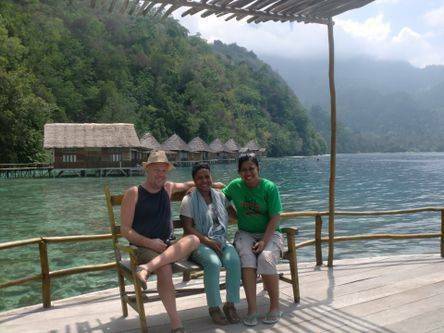 ask Atha to organize your next trip in the Moluccas. Atha sampai bertemu lagi. "She made this trip special for us"
Atha is an excellent guide and fun to be with. She made this trip special for us. 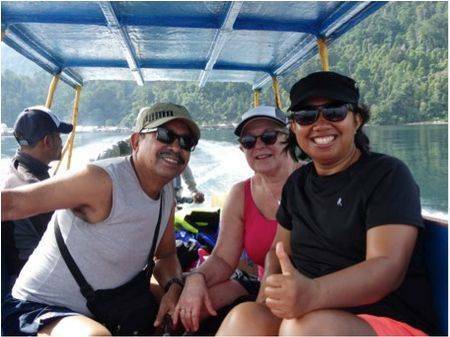 "The guide was really fantastic"
It was a very nice experience to travel to Saparua and Seram. The people and nature are amazing! Also the guide was really fantastic that make traveling easy. It's paradise! "I recommend traveling with Gandong Tours!" Gandong Tours is a highly flexible tour operator. A tour operator that fulfill personal contact and is focused on facilitating the clients every need. I recommend traveling with Gandong Tours! "Atha is a very professional woman"
Atha is a very profesional woman; reliable and experienced. She knows the nice places. Next time we will also order the tickets through her because she will find the best price (now we paid too much). We wish her success with her business and with practising her Gandong-Philosophy. "Atha is a guide who feels responsible in every way..."
From Januari the 6th until Januari the 19th me and my wife visited Maluku. Since it was to be a real vacation visit and not a family visit, we asked Gandong Tours to arrange the holiday visit. Although I often come in Ambon, I have not previously experienced really staying there purely for a holiday. Often, I am there for the football or visit family. Atha, managing director of Gandong Tours, is a niece of mine, and we know her so for some time. But it was for us the first time that she arranged the whole vacation and be our guide for our trip in Maluku. Looking back now, me and my wife, just can say that she did a very outstanding good job. Atha is a guide who feels responsible in every way for her guests and she acts accordingly. 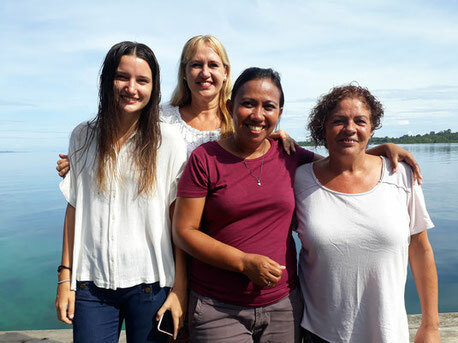 In addition, she has build up an extensive network in Maluku so she can easily make contacts and place order for her guests to see the most beautiful sights of Maluku. 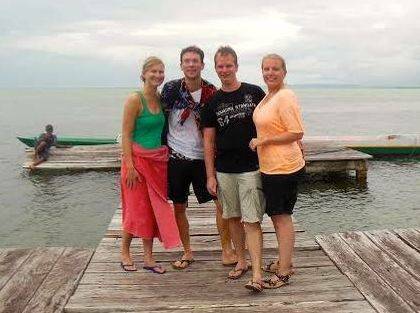 We very much enjoyed our holiday in Maluku and we can recommend Gandong Tours and Atha also warmly for our holiday in the Moluccas. "She is absolutely the best tour guide we ever had..."
We enjoyed every minute of this tour. Atha showed us so many places, we saw more in these days then we did back 22 years ago in 5 weeks. Atha = must mean Love. She is absolutely the best tour guide we ever had. Atha you are heel bijzonder. Much love to you and we going to make recommendations to all of our friends here in Holland. Wish you all the love in the world. "Full praise for Gandong Tours"
While reading the magazine Marinjo, my eye caught on the advertisement of Gandong Tours. We were planning to go travel to Maluku including a few days to North Seram. We did not know so well where we could get information. After several attempts over the internet with no results, I tried to email Gandong Tours. All pretty easy I got reply from Atha, starting from when the communication was fine. We have presented our wishes and Atha searched everything whether it was possible. We continued to communicate just as long until we agreed with what she offered us. It was no problem for her if we want to change something again. It felt good and price was also fine. When we arrived in Ambon, Atha contacted us for further instructions. On the day of our trip, she has picked us up by taxi and dropped us nicely at the kapal cepat. Because Atha had other guests on the same period, she could not go with us to Sawai (North Seram). From Amahei we were picked up by Deddy (another guide). Deddy was a little bit sick, he had asked another driver to join him. So they can alternatively drive. That was a good solution. They were both very friendly and pleasant to deal with. 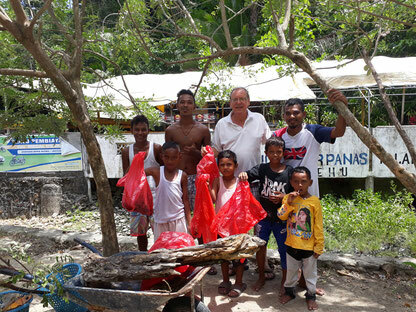 To hear Deddy's stories, we could very well find that he has a good contact with the local population of Masihulan and Huaulu. Everything went very well. I was a little bit sick and they have ensured that a nurse from Masihulan came to us in Sawai and she took care of medications. All in all, full praise for Gandong Tours, Atha, Deddy and the other guides, continues this work and so nice to see that you also help the population that have little or nothing. We will certainly recommend Gandong Tours! Excellent organization of transport and accommodation! Atha is a very gentle and communicative guide, she is friendly with everybody. "We never experienced such dedication from a tour guide"
Two big thumbs up for Gandong Tour and in specific Atha. In less than one month before our journey Atha was able to organize a customized 1-weekt trip for my friend and me. She took us to the wonderful island Seram with its jungle and beaches. If you want to travel off the beaten path, be surround by local culture and wonderful (underwater) nature, you should visit this island. As a second stop we visited the island Saparua where we visited local craftsmen processing sago and making pottery. It is great to experience how people live and work. Especially in a region such as Maluku it can be quite challenging to get around, find the best spots, nicest views and the best food. With the precise coordination and dedication of Atha this was no topic for us to worry about. Finally we would like to highlight that the price for our tour was really okay and that the money will go to a good cause (please check her website http://gandongprojects.webs.com). We would like to thank Gandong Tours and Atha for the wonderful trip. "We would recommend Atha to everyone"
Atha is very pleasant company. She takes her job seriously. She showed us places where we would never have been without her. She showed us the best places to eat, taught us everything about the Ambonese kitchen. We have laughed a lot. We would recommend Atha to everyone. The best way to see Maluku, is to travel with Atha! "We have very much respect for Atha and Gandong Tours"
At first we had communication with Atha by e-mail. It felt really good. She was very flexible if we had other plans than she planned for us. When we arrived in Maluku, Atha already reserved a room in Natsepa hotel. Great to start our trip in this hotel, here you can relax and walk on the beach. Going to eat roedjak. After a few days we went to our family in Ambon city and Kairatu. 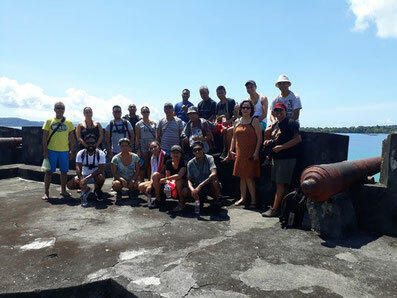 Our trip with Atha, the Seram Island tour started in Ambon. The service was excellent. The drivers and cars, Gandong Tours uses are very good. Atha and all the people we met, are very relaxed. The whole trip through Seram; ferry, cars, was very good organized, well arranged. Ora Beach is a little paradise on earth, a big aquarium with tropical fish and coral. We spent a great relaxed time over there. In our trip Atha told us about her life and Gandong Tours and the projects. We have very much respect for Atha and Gandong Tours. Bringing local people and people from all over the world together. We also stayed at Sawai. Beautiful place, right near the village of Sawai. We made a boottrip and Atha brought us to workers who processed sagu near the river. We had a great trip in the river to the sea. 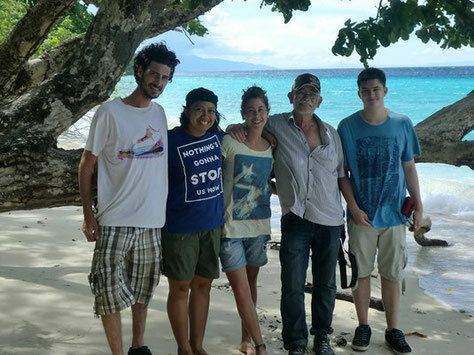 We had our lunch with a fisher family and a few hours we relaxed in the middle of the sea while looking to all the beauty of Seram. We were very impressed to meet the people of the Alifuru village Hualulu. All the beautiful faces of the children in this village, broke my heart. 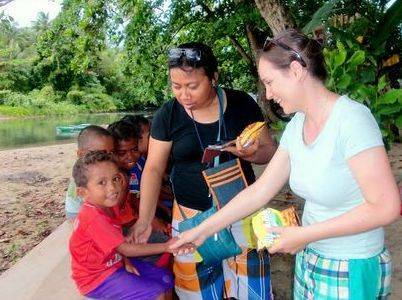 If you plan to visit Maluku, keep a little place in your suitcase and bring some toys or clothes for the kids with you. You will always meet a child who will be happy with a little gift. Atha and Gandong Tours, keep up the work in your projects! Thank you Atha and Gandong Tours, making our visit to Seram unforgettable. Bijzonder Atha!! Keep in contact Atha! "She was an extraordinary help for us"
We heard from a friend that he knew a guide for us. We where curious so we contacted Atha. She reacted very quickly and that was what we liked. The communication was good and she had a few good ideas for us. Of course we had our own program with special wishes, but Atha was easily fitting in. She was an extraordinary help for us. 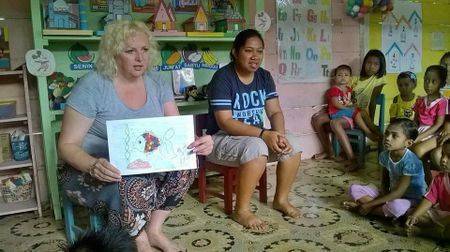 She translated everything and was learning us bahasa Indonesia. At the days we had free time, she had great excursions and she always asked what we liked. In a few words:' It was great working together.' We recommend her for everyone who wants to see the real Moluccas. Terima kasih! "I recommend Atha to everyone who needs guidance"
With our team Teachers Go Abroad, we travelled to Haria. Atha was our guide and translator. She was one of our team! She is a lovely, funny and heartwarming lady. She speaks English very well and is always willing to help in any situation. We became close friends very easily. So now, after spending one month working together, it's hard to say goodbye. I recommend Atha to everyone who needs guidance or translation. You won't regret it! 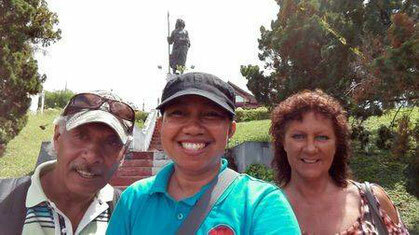 On our trip to Saparua, Atha was our guide. She helped us wonderfully. Without her, we couldn't have done as much as we have. It was great to have her around, she was one of the team. Translate, organize, even drawing and coloring wasn't too much to ask. Atha, thank you so much that we could use your talents. You were an upgrade for our team. Thanks, terima kasih and a big kiss. "She was a wonderful guide"
During our travel to the Molucca, Ambon and Saparua, Atha was our guide. She was with us every day and she was a wonderful guide. She joined our team and helped us with everything: translated our lessons at school and helped us at the orphanage. She showed us the most beautiful places of Ambon and Saparua! It was a great time with Atha, thank you for everything! "A trip you wish would never end..."
Atha, the best guide there is! In June 2015 I have been traveling to Ambon. Atha arranged my trip from beginning until the end, and I must say that this trip was unforgettable! Atha really has a pure heart, she wants to give her very best for the people she serves but also has a huge burden for the local Maluku people. During my trip I also had the opportunity to join her to her mission field on the inlands of Seram, where we visited local tribes and participated a project that she currently is running in an isolated village on North Seram. Experiencing what she is investing in the local community there with the money she saves from her income as a tour guide brought my meaning of traveling to a whole new stage! Atha has a big network of people in the field, she easily makes connection with people, she has a treasure of knowledge and experience, a talent for organizing, and she is professional, faithful, trustworthy, modest, sweet and humorous. Atha really understands what a customer wants, and she has the natural ability to make every trip a trip you wish would never end…! "Please do not search any further, we highly recommend Atha"
In December 2013 we travelled with a group of 4 to Ambon and Seram, hosted by Gandong Tours. From the moment we landed till the time we had to say goodbye we were surprised by the hospitality and the excellent organization of Atha and Gandong Tours. 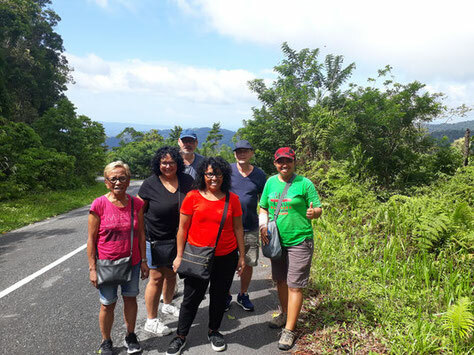 With one of Atha’s guides we visited Seram where the activities where customized to our preferences, Atha herself guides us on Ambon and showed us not only the highlights but was able to connect us with local customs and traditions. In case you consider to travel to Malukku Islands, please do not search any further we highly recommend Atha and Gandong Tours. Dear Atha thank you for everything. 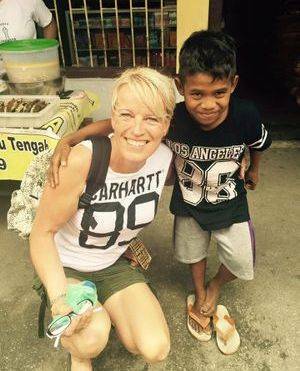 "Atha has done so much for us"
In the summer of 2013 I have been on a holiday to Indonesia with my husband and three kids (the age of 16, 20 and 22). 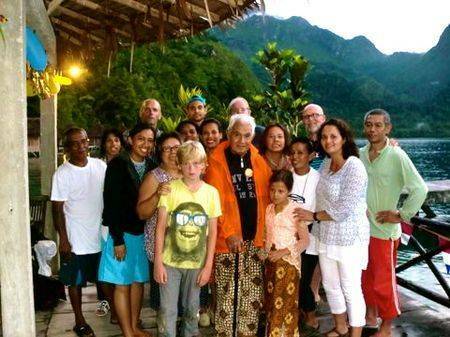 Our highlight from our journey was to visit Maluku, the roots of me and my children. Atha Hitijahubessy was our guide in Ambon and Saparua (Ullath). It was really great that she arranged everything: the hotels, the cab’s, the tickets for the ferry and a lot more. The whole family enjoyed it. We could already make our wishes clear in Holland and had contact with her about it. Atha has done so much for us. Atha is also a very nice person and she also had a good connection with the kids. I can definitely recommend Atha to you! 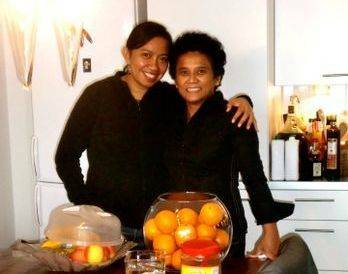 "Her arrangements were excellent and the trip was unforgettable"
In the period 24 jan - 2 feb 2013, on my way to West Papua I could use the services from Atha Hitijahubessy. I have to say that she performed her task professionally and in such a way that on my next trip to Ambon I will make use again of her services. 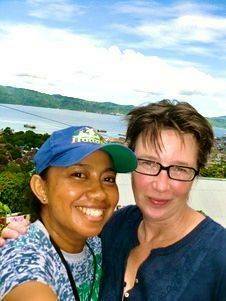 She showed me Ambon and the 3 days in Saparua were really very interesting. Her arrangements were excellent and the trip on the motorbike (she drove) through Saparua was unforgettable. I recommend Atha to all visitors to Ambon. I can guarantee you will not be disappointed. Atha once more banyak terima kasih and so God will sampai jumpa lagi. Best regards from Switzerland. 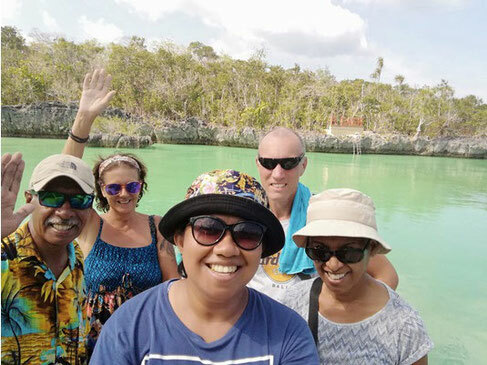 "I highly recommend Atha Hitijahubessy as a travel guide"
During our 4 weeks holiday on the Maluku Islands in July 2012, we have used the services of Atha twice. I am very very satisfied about her professionality and customer focus, and I can honestly say my whole family thinks the same. 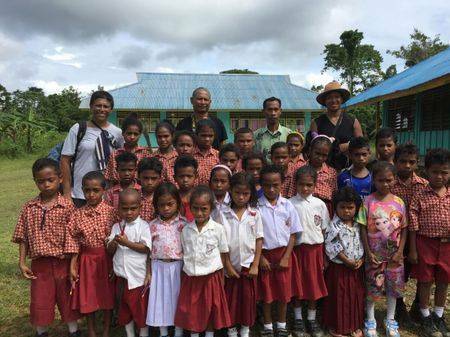 First of all Atha has organised a short trip to Saparua for 7 persons. All the transport, accomodation and meals were perfectly planned by her. All we had to do was enjoying this beautiful island! The second trip was much more complex, but nonetheless perfectly organised by Atha as well. For a group of 17 persons, she has planned all necessary transport from Hative besar on Ambon to Ora beach on Ceram near Saleman. We needed a bus, fast boat, cars and finally a speedboat to reach a very beautiful resort (Ora beach) where we have stayed for 5 days. Atha accompanied us during the whole trip and made sure that everything went smoothly. For the accomodation she has negotiated a very sharp price for us. "She knows what a customer needs"
Atha is very fast in arranging all my flights and she knows the best prices and flight connections. I trust Atha to book all my flights and hotel arrangements. She is also a good tourist guide and she speaks very well English. She knows what a customer needs. Nancy Bentvelzen - managing director Living Water co.
"If you ever plan to travel to Ambon; ask for Atha!" 'Without a local guide we would absolute be lost in all ways. Via Tjitske we got to know Atha. She was our walking encyclopedia, guide, translator, contact person, producer and especially our essential link between two cultures. If you ever plan to travel to Ambon; ask for Atha! She is a super fixer, hardworking, modest, great, good and funny'. 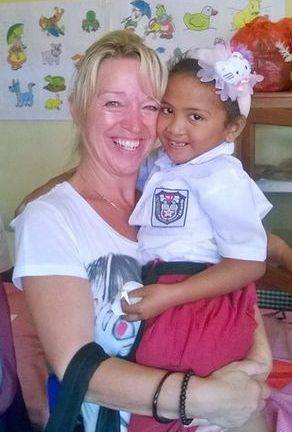 "She really is the most fantastic guide I know"
Tjitske Lingsma, author of "Het Verdriet van Ambon. Een geschiedenis van de Molukken. 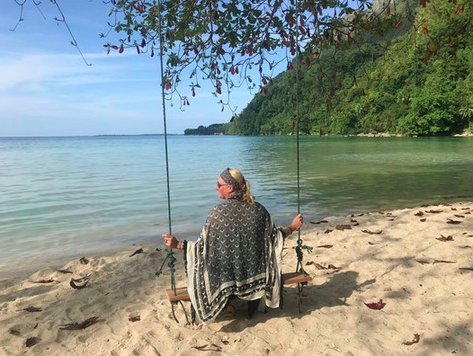 "This was for me an experience I will never forget"
With this letter I, Wineke Onstwedder; photographer from the Netherlands, declare that Atha Hitijahubessy was a professional producer during our stay in Ambon. 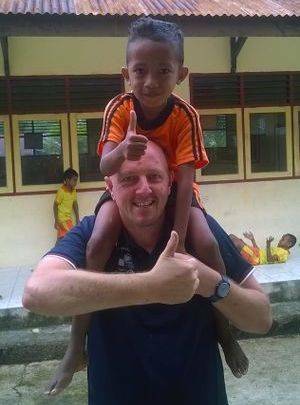 Our team - consisting of a filmmaker, cameraman, sound engineer, journalist and photographer - visited documentary and a magazine - both for children in The Netherlands - about the lives and friendships of children on Ambon. Atha Hitijahubessy was unbearable for our team; she is professional, she takes social skills wonderful sense of humor. She made very long days without any complains. After a day of work she left us to rest at the hotel, while she made preparations for the next day. She arranged everything we asked for and she has inventive ideas of her own too, which gave our product more value. 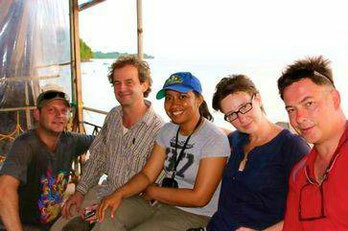 During our stay of 14 days on Ambon, we had one day off. Atha organized for that day a great touristic trip on the island including a diving experience for the whole crew. This was for me an experience I will never forget. I certainly recommend Atha Hitijahubessy as an honest, responsible and professional producer with a great personality.